You'll be £12.00 closer to your next £10.00 credit when you purchase Panzer I and II. What's this? The Treaty of Versailles forbade Germany to manufacture tanks so the Panzer I had to be developed in strict secrecy, but by the time of the invasion of Poland the Wehrmacht had over 1400 of these light tanks. The Panzer II was an interim design, bridging the gap between the Panzer I and subsequent, far more viable armoured fighting vehicles like the Panzer III and IV. 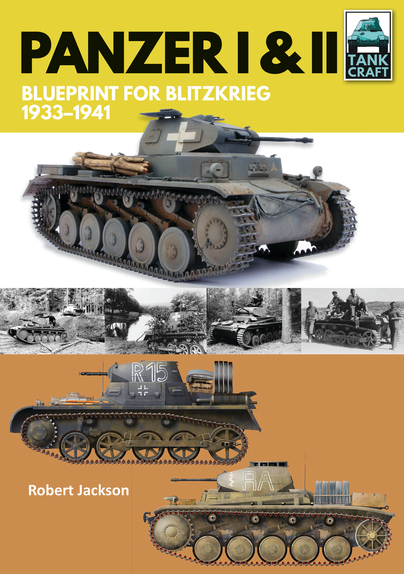 As well as tracing the history of the Panzer I and II, Robert Jackson's book is an excellent source of reference for the modeller, providing details of available kits, together with artworks showing the colour schemes applied to these tanks. Each section of the book is supported by a wealth of wartime photographs as well as diagrams showing the technical changes that were made to these tanks in the course of their careers. I love it. Another privileged documentation for the model of battle tanks. There's no doubting this is a reasonably priced book and like the rest of the series, will appeal to a number of market sectors, including vehicle historians, enthusiasts and of course - model makers. As such it is well worth checking out. This popular series is aimed primarily at model makers and engineers but it contains first class illustration and a very effective text overview of the Panzer I & II. This new book covers the first two tank models issued to the new Wehrmacht – Highly Recommended. A handy historical reference for these early Panzers and with significant elements clearly aiming this at modellers.